Application for honours first year 2016-17 session admission test of Jagannath University will start from tomorrow August 25 at 12pm. Students will be able to apply online till September 10. The University confirmed the news in a press briefing on Wednesday. There are 2 thousand 765 seats in JNU. To apply for A, B, C, and D unit, students of Science, Business Studies, Vocational, Diploma in Business Studies, Diploma in Commerce and Business Management need to have at least 8 points combined in SSC and HSC examination. Students of other group need to have at least 7.5 points to apply for A unit. To Apply for E unit, students need to have at least 6.5 points combined in SSC and HSC examination. If any student has less than 2.5 in any of SSC or HSC exam, he/she will not be able to apply. English Medium students need to pass ‘O’ level having C in at least 3 subjects and need to pass ‘A’ level having C in at least 2 subjects to apply for JNU admission test. The fees for application is 404tk for ‘A’, ‘B’, ‘C’ and ‘D’ units and 505tk for ‘E’ unit. For more information visit JNU’s Circular and click here to apply online. 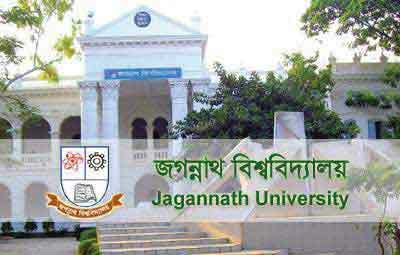 Feel free to ask any question about Jagannath University admission test. You can comment below or can ask in our facebook page.